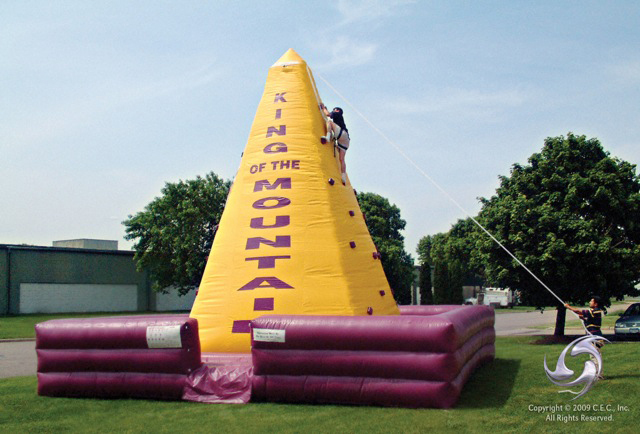 Try our new four-sided rock climbing wall equipped with safety harnesses. Both the skilled and the newcomer will have a great time racing to the top and to be the first to ring the bell. 24' x 24' x 28'. Available as a 2-sided wall with two attendants, or 4-sided wall with four attendents.